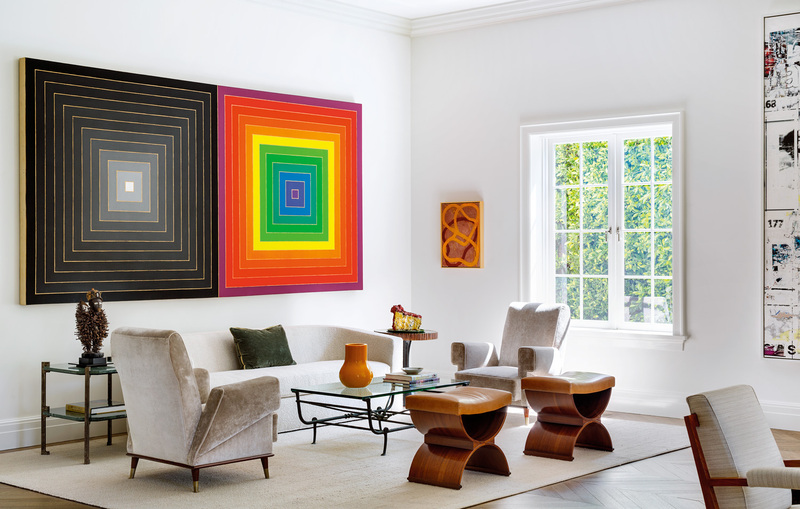 A two-part Frank Stella painting dominates the living room. 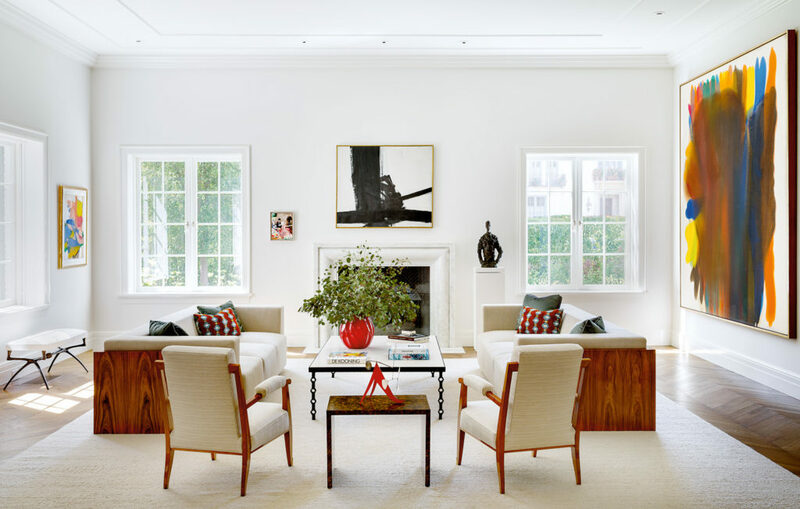 Specifically, they had in mind a traditional house that could comfortably accommodate casual family gatherings with grandchildren as well as more formal events, while showing their ever-expanding assemblage of art to maximum advantage. “The challenge was to design a home that also functions almost as a gallery,” says Marc Appleton, the architect charged with the task. 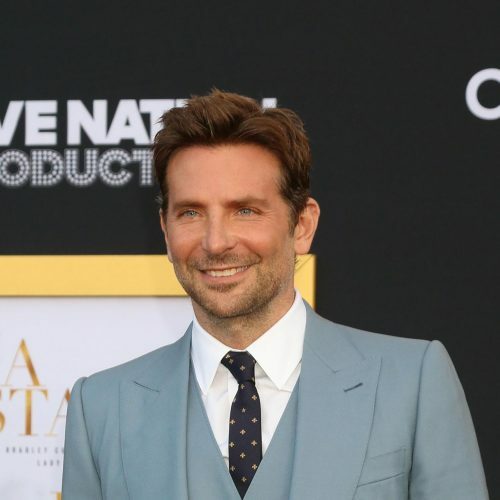 His solution: a stately two-story white-brick Georgian (with a vermilion front door inspired by the wife’s favorite nail polish, a Chanel red) that takes a contemporary turn inside. 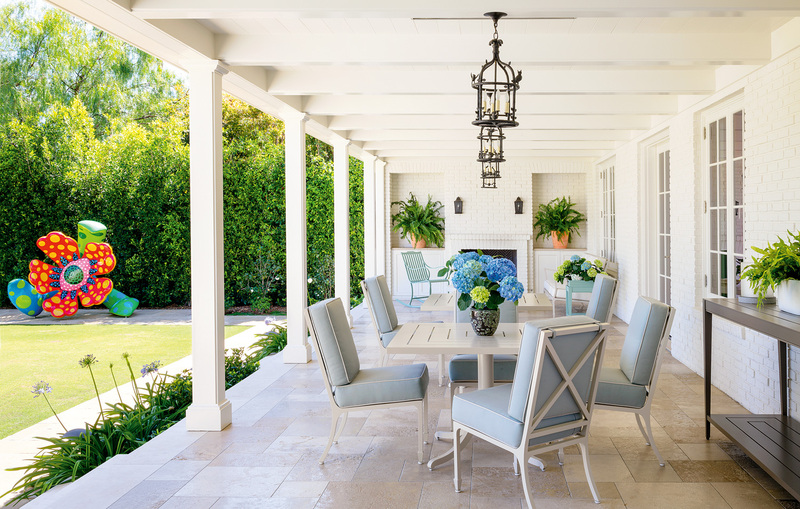 The layout Appleton composed is classic but also uncommonly airy and light-filled, marked by expansive walls, generous 12-foot ceilings, and pared-down architectural details, all serving to spotlight the art. 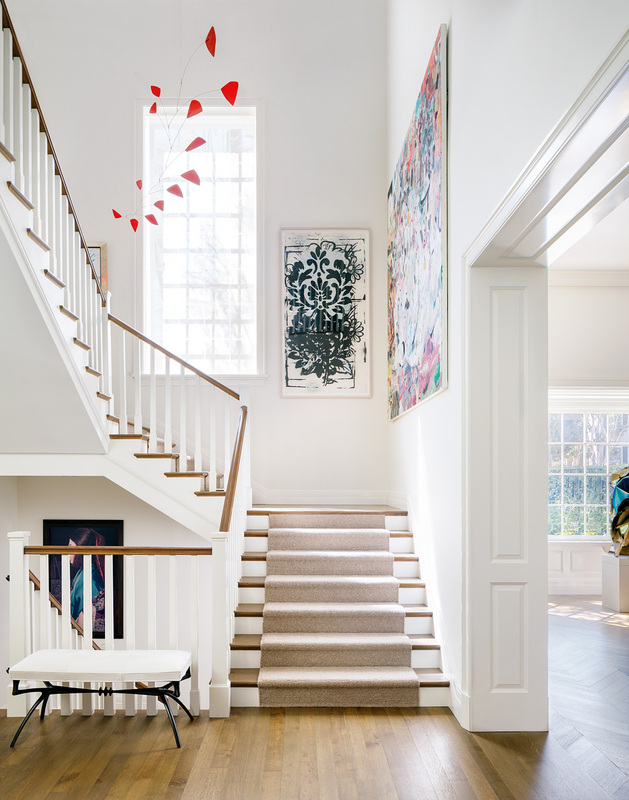 Appleton designed wide hallways to function as gallery spaces and long enfilades that create dramatic sight lines to certain works. As new acquisitions are made and older pieces lent to exhibitions, the owners occasionally mix up what’s on display, though a number of prized works rarely move from their high-impact focal points. 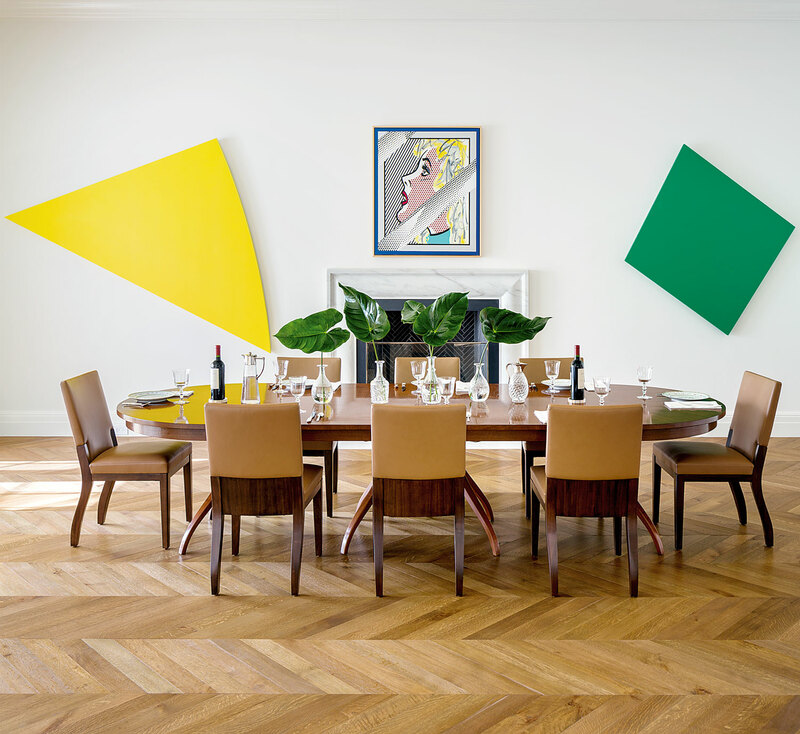 Roy Lichtenstein’s Reflections on Profile, which is given pride of place over the dining room fireplace, is a prime example, as are Ed Ruscha’s House Leak, a black-and-white canvas strategically hung in the library to be visible from other rooms, and a large Martin Kippenberger painting of Jacqueline Picasso, prominently installed directly opposite the doorway to the den. 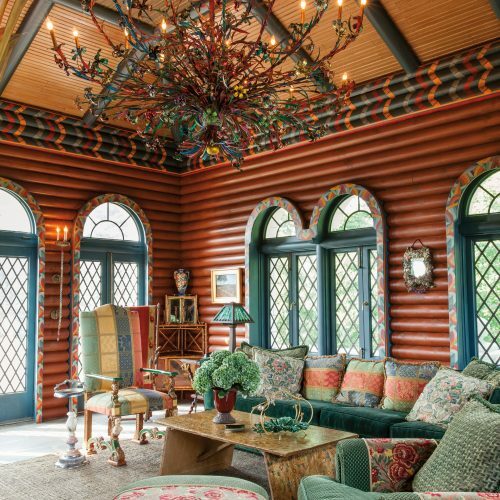 When it came to the decor, the couple consulted a number of designers before enlisting Madeline Stuart, a witty and versatile decorator who won them over with her “great passion for the art,” says the husband. As with Appleton, everything Stuart did was aimed at showcasing the collection. 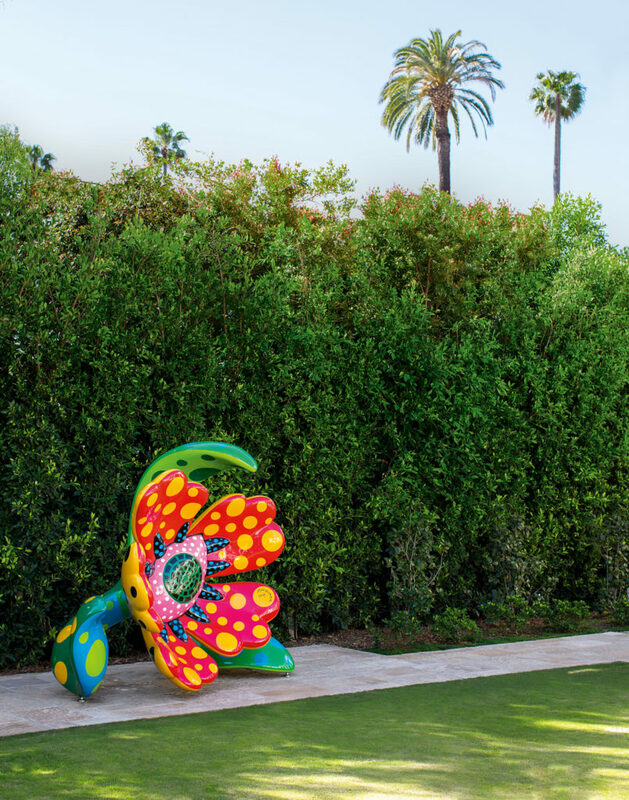 “The mandate was always that the furniture would be in deference to the artwork, which makes such a powerful statement,” she says. “But I also didn’t want the furniture to be overwhelmed by the art. 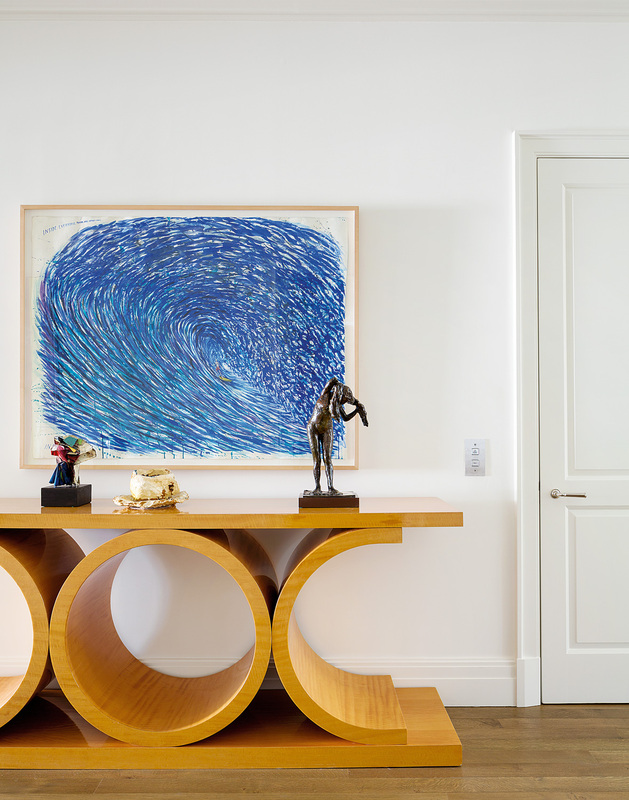 Each piece has its own artistic integrity.” The balancing act starts in the entry, where a sensuous oak sideboard by Jean Royère supports a Robert Gober shoe sculpture, while signature works by Jasper Johns and Fernand Léger hang directly above. Stuart procured furnishings that together speak to a timeless modernity rather than any specific era. 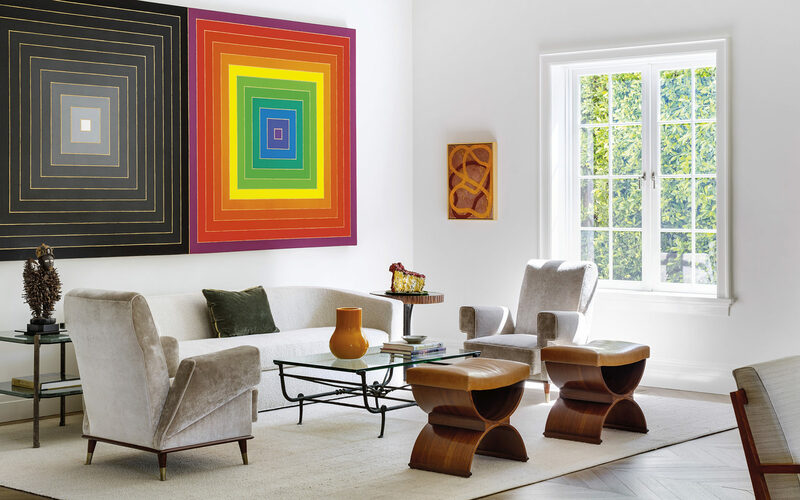 In the center of the sun-splashed living room, a pair of Jules Leleu armchairs flank an Alexander Calder sculpture perched atop a Jean-Michel Frank side table, while the surrounding walls display a head-spinning array of major works by Mark Bradford, Morris Louis, Cindy Sherman, Franz Kline, Frank Stella, and others. 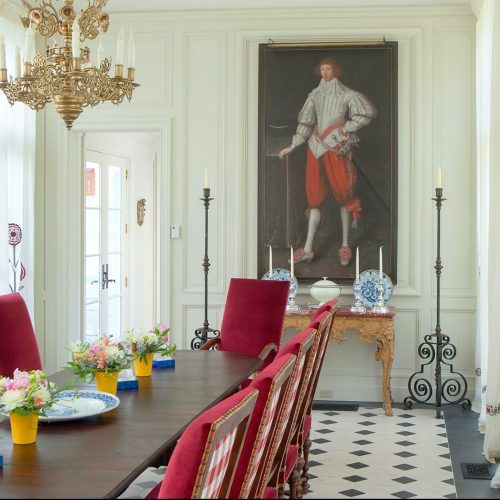 Here and in other rooms, chevron-pattern French-oak floors are warmed by pale wool rugs. Textured linen velvets and handwoven textiles add subtle variation. Milky tones predominate throughout the house, the walls painted in multiple shades of white, with “an infinitesimal amount of cream” added to avoid a cold gallery feel, Stuart explains. 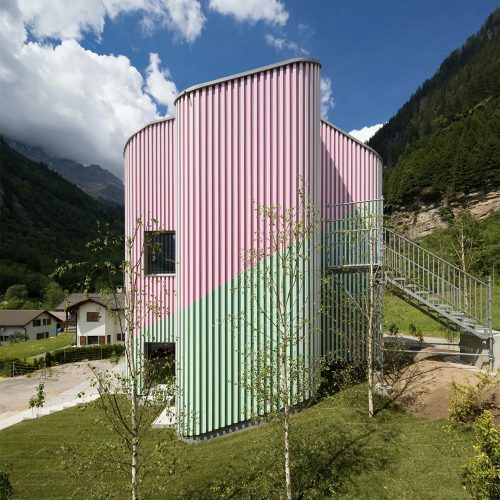 There are a few spaces where the designer injected a bit of color. One is the master bedroom, where a soft palette of dusty grays, blues, and lavenders plays off Ellsworth Kelly’s prismatic Study for a Spectrum and Cecily Brown’s vivid canvas Lunge. And in the den, where the family gathers to watch movies and football games on a 100-inch TV, Stuart opted for red leather club chairs, a richly patterned antique Kirman rug, and walls upholstered in a flax-hued linen, which enhances the room’s acoustics and complements a small, perfect canvas by Willem de Kooning. Click here to view more photos of the home.